Having a garden party this spring or summer? These watering can wine markers bring the fun. 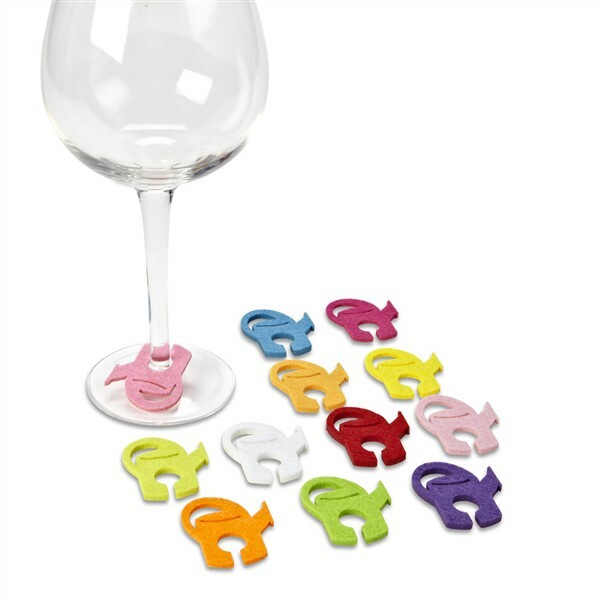 A set of 12 poly felt wine charms, shaped like watering cans in gorgeous bright colors, that are slit to fit around a wine glass. They are approx 1.75" x 2" and come in a clear acetate box for giving and storing. They will bring smiles with every use.